Quality tone production on certain violin notes can vary considerably from player to player. Notes for violin in first position are generally played with ease and clarity. It is with the higher notes on violin which present greater difficulties with intonation, and where quality tone production becomes more of a problem. 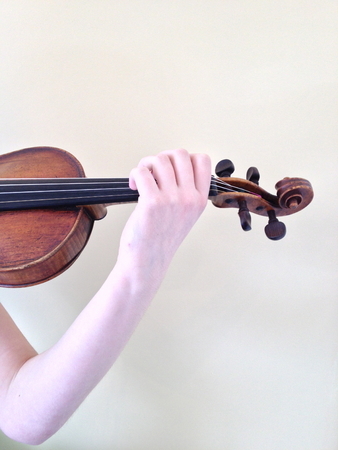 When the correct posture is achieved, along with a balanced left hand and a relaxed thumb, excellent intonation producing effortless violin notes will be experienced. Poor position of the left hand & elbow. Correct position of the left hand with the fingers over their respective position & the elbow swung round. Violin notes that prove awkward to play must be clearly identified and practised separate bows. Rhythmic patterns using dotted notes should be rigorously studied. Correct bowing technique is crucial to further develop musical awareness and srong tone production. Understanding precisely what part of the bow to use, where to place the bow in relation to the bridge and fingerboard, and which part of the arm/shoulder etc to use, is crucial. 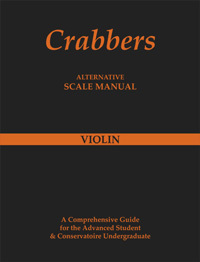 To learn violin notes with 'ease' must be the way forward to an effortless technique. 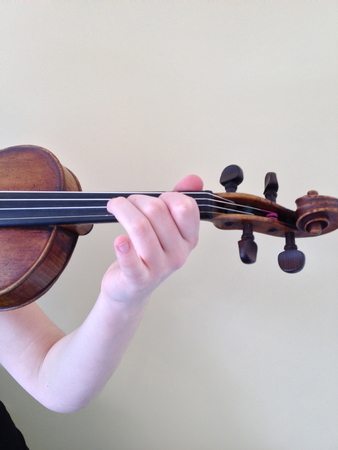 Violin chords must also be practised as these strengthen and balance the left hand. They will also considerably improve co-ordination levels when fingers move simultaneously. More advanced bowing techniques may be studied using chord patterns. Much attention must be placed with the higher notes on violin. Ensuring that the hand, thumb and finger positions are all finely balanced, and over their correct violin finger positions. A method using only letters and numbers will enable the beginner to read and play a familiar tune more easily. Younger elementary violinists find notes on violin played in the lower registers difficult to play. It is important that the chin rest and shoulder rest (if used) place the student in a comfortable position, so that the left arm can be swung round easily. Notes on the G string can then be played with greater ease.